Shopping for Wonder Woman T-Shirts? Wear your DC Comics pride front and center with this Super Cute Tee from Funko! 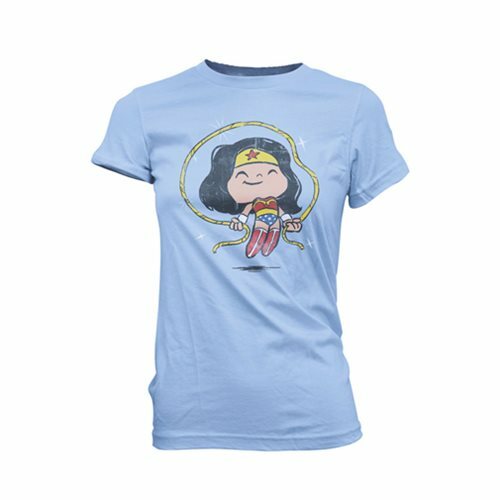 This Wonder Woman Jump Rope Super Cute Juniors T-Shirt shows Diana Prince carefree and jumping rope on the front of a soft blue shirt.